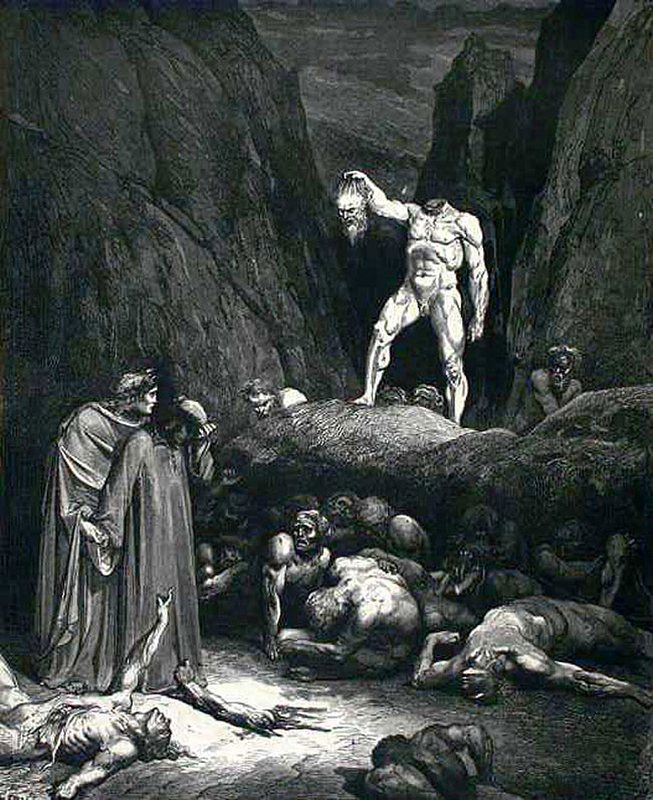 (above) At the outset of Dante’s epic poem The Divine Comedy, the ancient Roman poet Virgil leads Dante to the entrance of Hell (The Inferno). 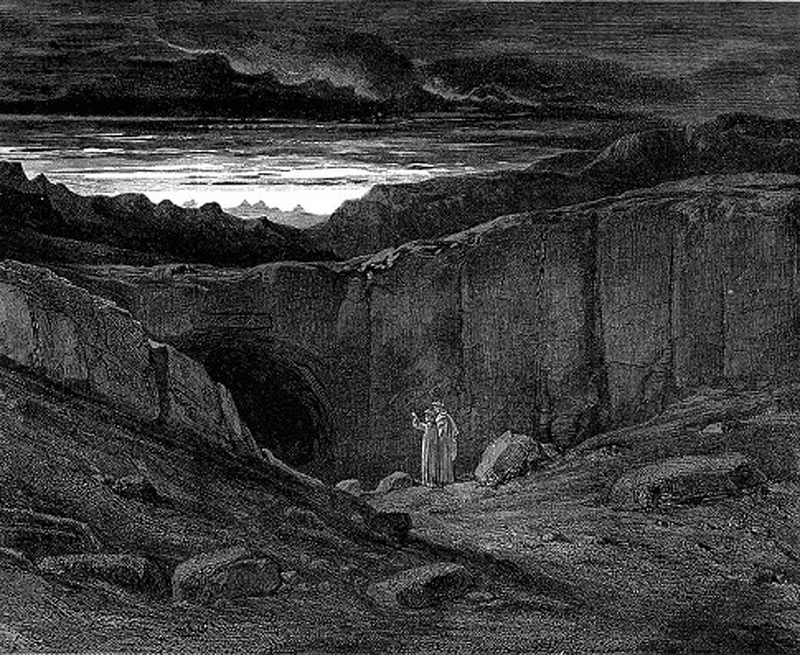 Above the opening is inscribed “Abandon all hope, you who enter here.” Gustave Doré‘s illustrations date from the latter 19th Century; Dante’s poem dates from the 14th Century. I would like to tell a short story—or perhaps not such a short story—about the reasons why I chose to become an architect. Exactly why this blog’s readers should be interested in my recollections about such a matter I cannot say, and perhaps I am mistaken in spinning out such a story here. Still, I feel compelled to do so and can only hope for the readers’ tolerance. 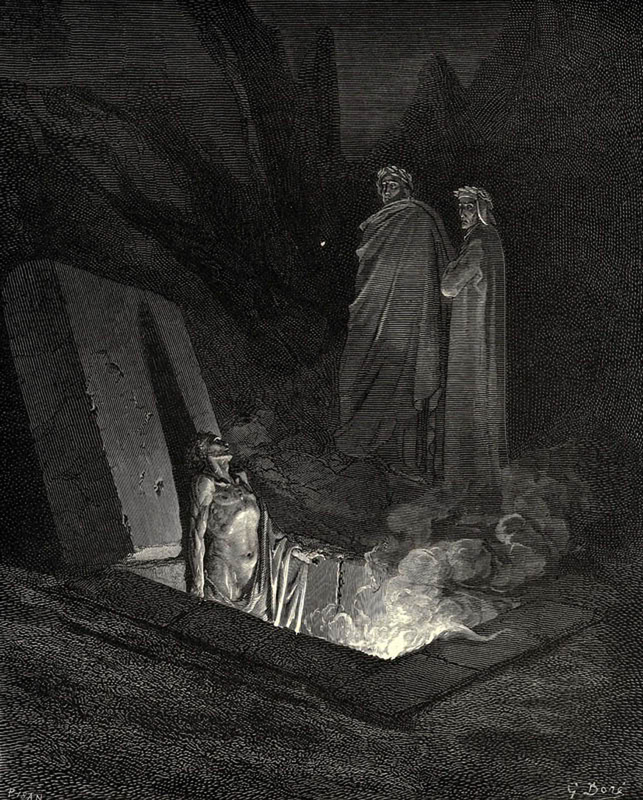 I’ll quickly pass over my early obsession with drawing, and the first time I saw Gustave Doré’s engravings for Dante’s Inferno, however pleasurable it might be to linger on the great illustrator’s use of pure line in his startling visions of Hell. I will pass just as quickly over my childhood memories of the engineering works built by my father, co-mingled with memories of jet bombers and fighters that enflamed my imagination—as I have already spoken of them here. Instead, I’ll take up the story at age sixteen or seventeen when, some years after my father’s death, when I—an only child—lived with my mother in Indianapolis, Indiana, and was attending high school. This was the mid-1950s. For whatever reason, I had taken up painting, oil painting. Setting up my easel in our modest living room, I painted pictures of everything from copies of paintings in a how-to book of bowls of fruit to images of pure light, that is, light that emanated from within the little canvas boards I’d bought at an art store. Where the impulse to make such images came from I cannot say, but oil paint was perfectly suited to the task (acrylics had not been invented yet), though I do recall that I tended not to blend the strokes into smooth transitions, but preferred to build them up from separate dabs and daubs, so that the light was broken down into elements proceeding from an intensely radiant center to a gradually deepening darkness. I only wish now that even one of these paintings had survived. I cannot recall, as well, whether I painted these pure light images before or after I had come across pictures published In Life Magazine of Michelangelo’s Sistine Chapel ceiling frescos. I suspect it was after, because I had been so moved by them. No doubt my light paintings were a form of imitation, without the heroic figures I couldn’t draw anyway, of the great artist’s expressions of a troubled spirtituality. 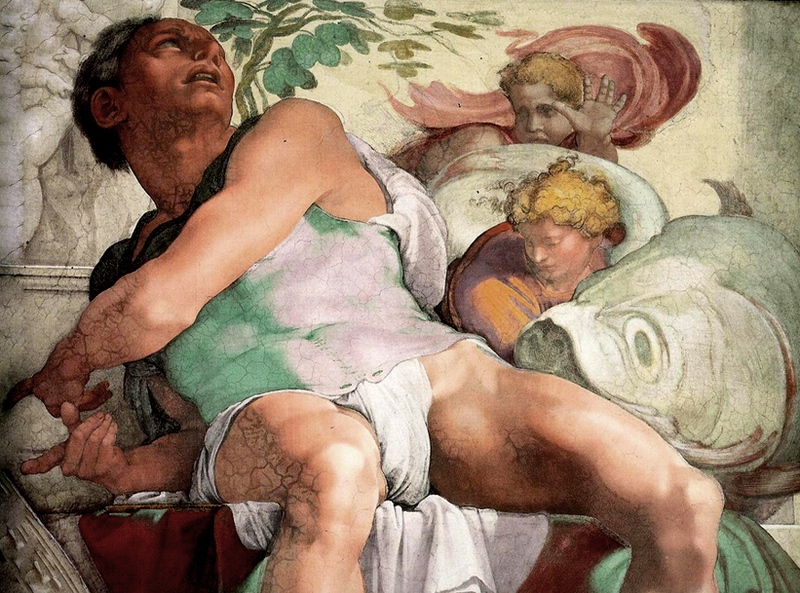 The twisting and turning, the contrapposto (I later learned the term) of the figures portrayed an unnamed inner conflict having more to do, it seemed, with the struggle of the human psyche against itself, rather than the Biblical stories the paintings ostensibly illustrated, or against the domineering will of God. Christianity is in some ways a religion of self-torment. Fear of afterlife retribution for our sins against the laws of the church weighs on many less heavily than the pain of personal guilt from moral failures and of an erosion or outright loss of faith. This has had a baleful effect of European society by placing conflict at its core, as well as a mood of negation. But also, it’s been a boon for the arts, giving them an inexhaustible source of affecting ideas. Or, to put it another way, the arts have not been merely ornamental, but central to people’s struggle to “find themselves’ in a world without clarity, or certainty, of meaning. The very different worlds of Dante and Michelangelo testify equally to this condition, and led me slowly, inevitably towards architecture. (above, below) Two of Doré‘s many scenes of Divine punishment for the sinners in Hell. 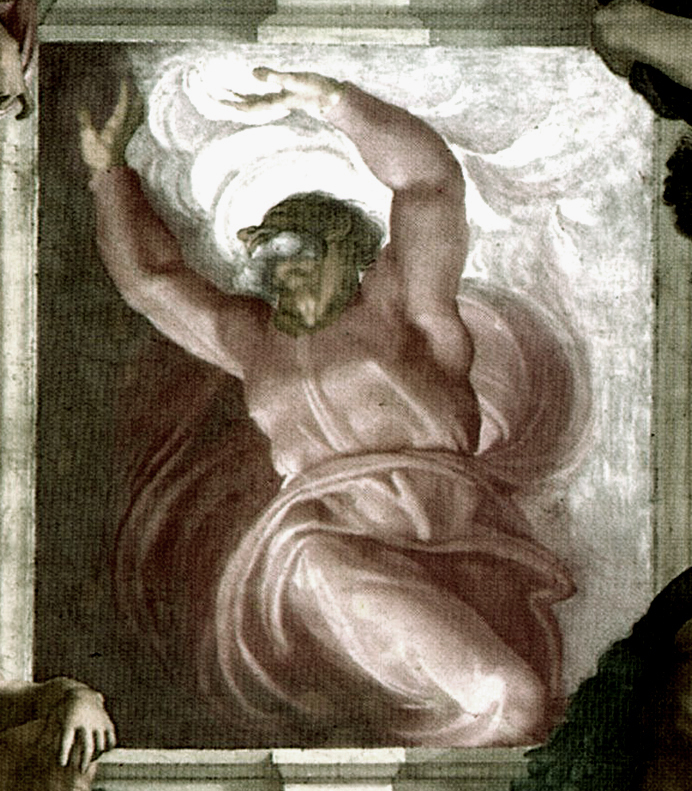 (above) God dividing the light from the darkness, from the Biblical Book of Genesis. (above) The Prophet Jonah, from the Biblical Old Testament. I think the moment I made the choice to become an architect is not so important as the continuous choice I make everyday of what kind of architect I want to be. To me, the struggle has been between maintaining an open and inquisitive mind at the same time as standing up for the political ideas and beliefs I hold. It’s not easy, to know when to listen and know when to speak, but I believe I need to do both to grow. There must be a reason I was born both with a mouth and a pair of ears. I often think about why I want it so badly, all the education seems to do to me – is set me back. Enough passion to fill a room up, really. It’s expensive. What I thought was going to be a cheap starting solution, is now… um..I too started oil painting. And I have drawn since I was basically born. I find that the architects I end up working for, or end up connecting to – have this outstanding love of the arts. I don’t want to be “an artist”, I know I already am. I think when I finally get there to being an architect, I may have the confidence to return whole-heartedly to art before my take into the architectural world. Because of the ability to blend, and blend so well – Architecture is to the built environment what oil painting is to the visual arts – this is how I feel. I think it does something to everyone. I kind of rely on my synchronicity(s) at this point… but then again, I notice I always have. dkzo: It sounds like you know what you want and have a clue how to get it. Just stay on course and don’t get diverted, by anyone or anything. I appreciate very much your candor. In my search for clarity, for meaning, I chose to become an architect. Lebbeus you were my first inspiration. My first love. You were an inspiration even before I started at Cooper. Thank you so very much. I am a second year student and I struggle to work out still why I chose to be an architect. To be clear, I am undertaking Interior Architecture, but considering we rarely stay inside the building it doesn’t make much difference. I struggle to understand because I don’t understand. I find being able to know how to apply a design process when I don’t have any experience of a working studio. Unfortunately, the world of academia is so separate from the working world we just have to be hopeful at the end of year show when the wolves decide whether we’re worth taking home. We get no chance to know how the real world works. Until that happens, will never know what I really got into architecture for, as I will have no way to validate myself. Why I became an architect in 1965.
myself to the plummet in status, made some samples, and walked door to door. it was the best decision I ever made. I learned how to make renderings that surpassed what I ever dreamed I was capable of. What more satisfaction can life give us? you. I came to your site becasue I had to see who this person was. andy Hickes: I identify with your story very much. All I can say is ‘welcome to the blog and back to architecture’ I hope.